Throughout the summer, US troops in Iraq and Syria reported seeing small drones hovering near their bases and around the front lines in northern Iraq. Kurdish forces fighting Islamic State in northern Iraq last week shot down a small drone the size of a model aeroplane. They believed it was like the dozens of drones the terrorist organisation had been flying for reconnaissance in the area, and they transported it back to their outpost to examine it. But as they were taking it apart, it blew up, killing two Kurdish fighters in what is believed to be one of the first times the Islamic State has successfully used a drone with explosives to kill troops on the battlefield. In the last month, Islamic State, also known as Isis, has tried to use small drones to launch attacks at least two other times, prompting US commanders in Iraq to issue a warning to forces fighting the group to treat any type of small flying aircraft as a potential explosive device. Isis has used surveillance drones on the battlefield for some time, but the attacks – all targeting Iraqi troops – have highlighted its success in adapting readily accessible technology into a potentially effective new weapon that US advisers say could be deployed against coalition forces as the terrorist group moves to reclaim its stronghold in Mosul. For some US military analysts and drone experts, the episodes confirmed their view that the Pentagon – which is still struggling to come up with ways to bring down drones – was slow to anticipate that militants would turn drones into weapons. “We should have been ready for this, and we weren’t,” said PW Singer, a specialist on robotic weaponry at New America, a think tank in Washington. Military officials said the Pentagon has dedicated significant resources to stopping drones, but that few Iraqi and Kurdish units have been provided with the sophisticated devices that US troops have to disarm them. The officials said they have ordered the Pentagon agency in charge of dealing with explosive devices –known as the Joint Improvised-Threat Defeat Organization – to study ways to thwart hostile drones. Earlier this summer, the Pentagon requested an additional $20 million from Congress to help address the problem. In recent months, the CIA and the Defense Intelligence Agency both rushed to complete classified assessments about Islamic State’s drone use. And the secretary of the army, Eric Fanning, recently assigned a special office he had created to respond to emerging threats and to study how to stop drones. Unlike the US military, which flies drones as large as small passenger planes that need to take off and land on a runway, Isis is using simpler, commercially available drones such as the DJI Phantom, which can be purchased on Amazon. The group attaches small explosive devices to them, essentially making them remotely piloted bombs. “This is an enemy that learns as it goes along,” said Lt Gen Sean MacFarland, the top US military commander in Iraq until August. Of the three known drone attacks in Iraq, only the one involving the Kurdish soldiers caused casualties. “The explosive device inside was disguised as a battery – there was a very small amount of explosives in it, but it was enough to go off and kill them,” said a senior US official who had been provided with a detailed report on the episode. Last week, Isis used a drone strapped with an explosive to attack a checkpoint. The device did not kill anyone but destroyed buildings. On October 1st, Iraqi troops shot down a drone that was only a foot long and a foot wide but had a small explosive attached to the top. “The drone could only hold one small bomb in the middle of it – no bigger load could be on it,” said Gen Tahseen Sayid, a senior Iraqi officer in the area. Isis first used drones to film suicide car bomb attacks, which militants have posted online. But US and Iraqi commanders said that earlier this year it became clear the group was using drones to help them on the battlefield. In March, MacFarland and US military commanders in Baghdad received an intelligence report that Isis had posted surveillance video online that had been taken by a small drone. The video footage showed a newly created series of bases in northern Iraq where US and Iraqi forces were stationed. Just days after the video was put up, a Katyusha rocket landed in the middle of an outpost of more than 100 US marines, killing one who was rushing to get others to shelter in a nearby bunker. The strike was so accurate that military officials described it as a “golden shot”, and there was speculation that a drone was used in the targeting. In the weeks after, US forces in the area unleashed a barrage of retaliatory air strikes against Isis fighters who had launched the drone. “Whatever capability they had, they lost a lot of it,” MacFarland said, referring to the Islamic State’s operations in the area. Throughout the summer, however, US troops in Iraq and Syria reported seeing small drones hovering near their bases and around the front lines in northern Iraq. In August, Isis called on its followers to jury-rig small store-bought drones with grenades or other explosives and use them to launch attacks at the Olympics. There were ultimately no such attacks at the games. On the battlefields in Iraq and Syria, the United States has dedicated resources to take out Islamic State’s drone capabilities. In the past 18 months, the United States has launched at least eight air strikes that have destroyed Islamic State drones on the ground, according to news releases from the US military command in Baghdad. Despite these efforts, military analysts believe that drones will continue to be a problem in Iraq, Syria and elsewhere. 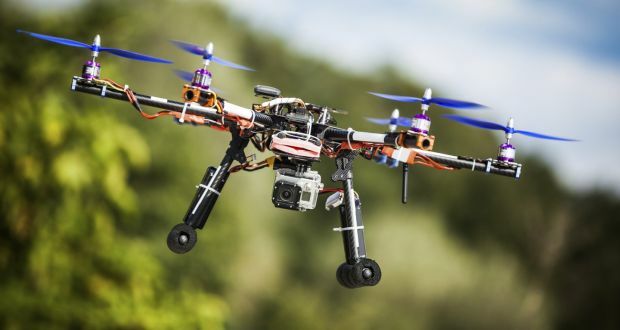 A new report by the Combating Terrorism Center at West Point says that in the future, off-the-shelf drones used by terrorist groups will be able to carry heavier payloads, fly and loiter longer, venture farther from their controller and employ secure communications links. “The number and sophistication of drones used is also likely to enhance the scope and seriousness of the threat,” said Don Rassler, the centre’s director of strategic initiatives. Share the post "Pentagon struggles with new Isis threat: exploding drones"